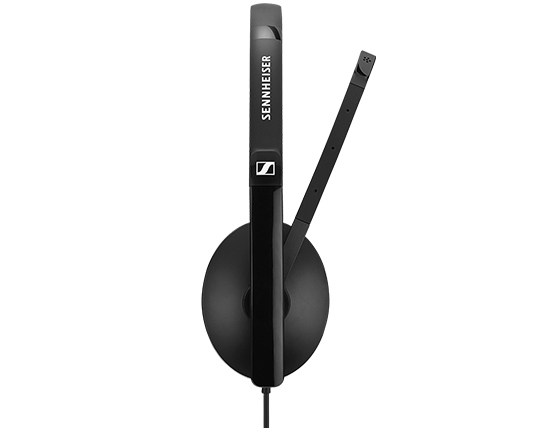 Sennheiser SC 135/165 USB - - SC 135 USB (single-sided) and SC 165 USB (double-sided) are headsets with 3.5 mm jack and detachable USB cable, optimized for UC professionals who value device flexibility, great sound, discreet modern style and comfort. SC 135 USB (single-sided) and SC 165 USB (double-sided) are headsets with 3.5 mm jack and detachable USB cable, optimized for UC professionals who value device flexibility, great sound, discreet modern style and comfort. Easy plug-n-play connectivity - with 3.5 mm jack and USB. Easy transportation or storage, thanks to an innovative fold-flat ear cup design.